This badge was issued to John Purvis on 08 Apr 2019. Candidates who earn the eDiscovery Executive Certificate credential demonstrate the fundamentals necessary to understand the process to request and produce documents for legal purposes. 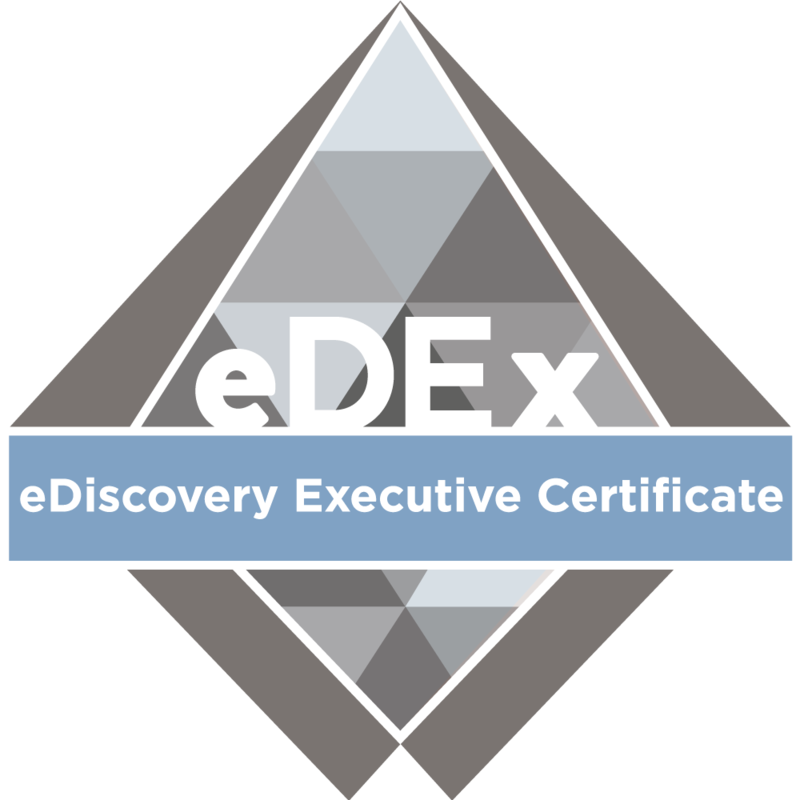 The eDEx program credential is appropriate for attorneys, paralegals, litigation support, privacy, information governance, IT, security and compliance professionals seeking an end to end introduction to eDiscovery.